over the cars in the Toy Box, including the flag of Kenya. Named after Mount Kenya, the second-tallest mountain in Africa, Kenya celebrated its independence in 1963, after years of turmoil to get out from under the control of imperial power England. The country has suffered many controversies during its existence, but the enforcement of free elections gives hope for the future. The colors used in the flag are symbolic: the black represents the people of the Republic, the red for the blood lost during the fight for freedom, the green for the country's landscape, and the white separating them was added later to symbolize peace and honesty. Dominating the flag is a Maasai shield and two spears, representing the intention to defend the country against threats made to it. 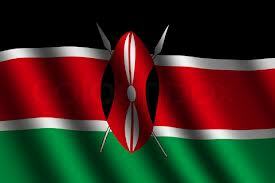 The colors on the Kenyan flag have been used by other nations in their own flags as well. Which of the following countries also uses red, black and green in their flag? The Nineteenth Amendment to the Constitution was approved in 1920, which gave women the legal right to vote. This is not to say there had been no long-term desire for this prior to the twentieth century. In face, it was this day in 1872 when Susan B. Anthony submitted her vote for president. Two weeks later, she was arrested for this act and fined one hundred dollars. 1895 was legally an important year in the American automotive industry. On November 5th, 1895, George B. Selden received the first patent related to car technology in the country. He applied for the patent sixteen years later, for his development of a small internal combustion engine with one piston and an enclosed crankshaft. Selden's patent was challenged by aspiring automobile manufacturers including a man named Henry Ford and, although the case initially went to Selden, Ford won on appeal and made a substantially greater name for himself. Leonard Franklin Slye was born on this day in 1911. He endeared himself to American audiences with his stage name of Roy Rogers, and went on to perform on radio, television and over one hundred movies during a career that lasted half a century. We must also never forget that the Roy Rogers restaurant franchise has offered travelers fast food in rest stops across the country.